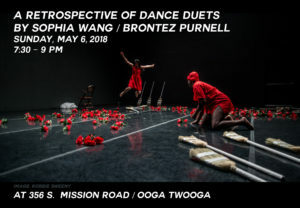 Images from A Retrospective of Dance Duets by Sophia Wang/Brontez Purnell at 356 Mission. 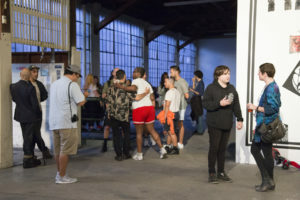 May 6, 2018. 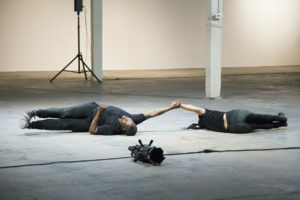 In 2009 Sophia Wang and Brontez Purnell co-founded Brontez Purnell Dance Company. 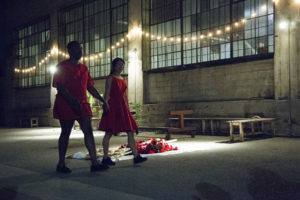 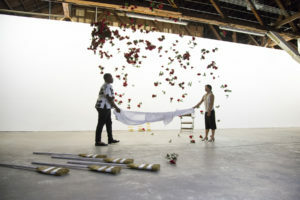 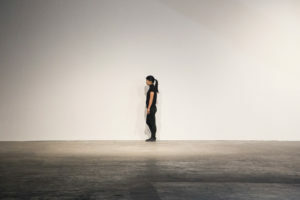 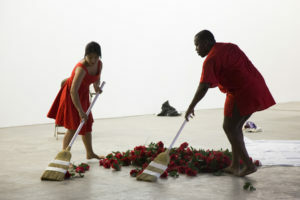 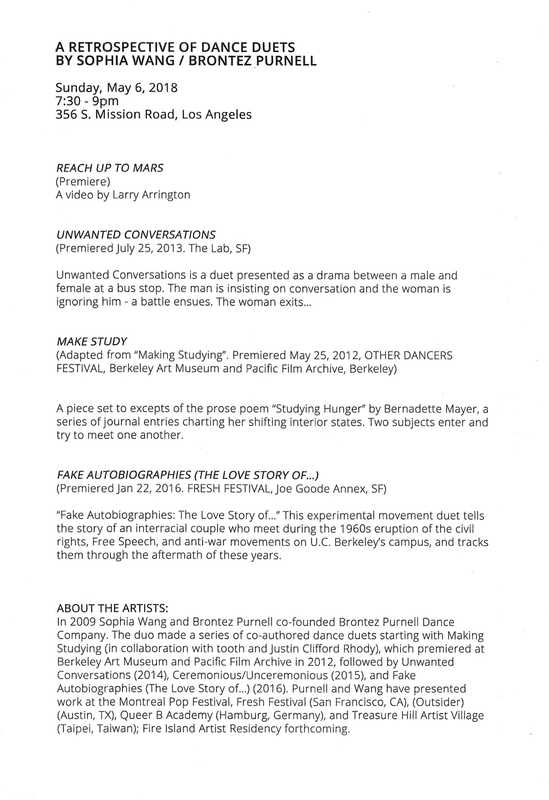 The duo made a series of co-authored dance duets starting with Making Studying (in collaboration with tooth and Justin Clifford Rhody), which premiered at Berkeley Art Museum and Pacific Film Archives in 2013, followed by Unwanted Conversations (2014), Ceremonious/Unceremonious (2015), and Fake Autobiographies (The Love Story of…) (2016). 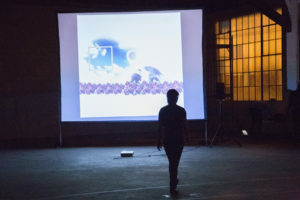 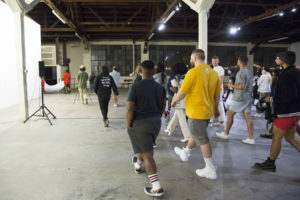 Purnell and Wang have presented work at the Montreal Pop Festival, Fresh Festival (San Francisco, CA), (Outsider) (Austin, TX), Queer B Academy (Hamburg, Germany), and Treasure Hill Artist Village (Taipei, Taiwan); Fire Island Artist Residency forthcoming.